Sauvie Island might be one of the few regional outdoor attractions near Portland not known for its summertime offerings (other than, say, Collins Beach—famously “clothing-optional”). Each spring brings fresh crops at numerous u-pick farms, and each fall coincides with the arrival of pumpkin patches and corn mazes. Yet comparatively little attention is paid to the island’s recreational opportunities during the months in between. The island, roughly 20 miles northwest of downtown Portland, deserves at least a day trip as the temperatures rise. 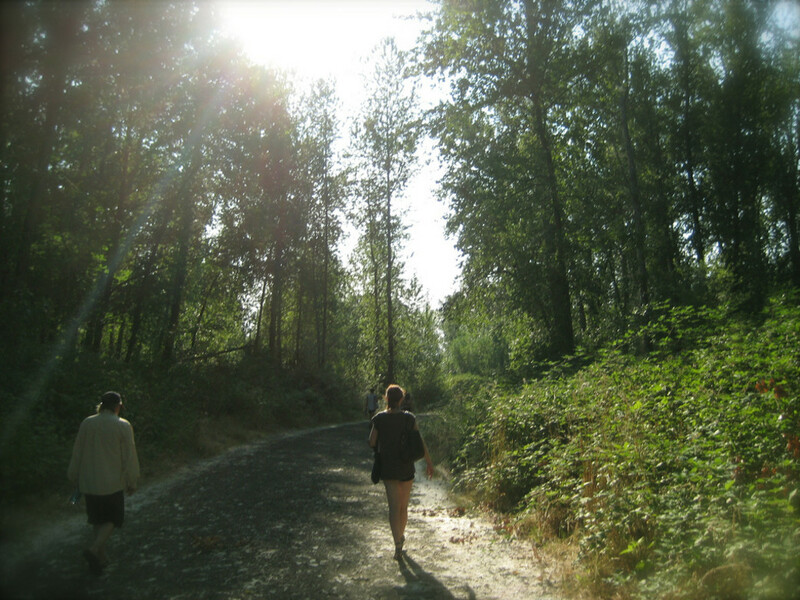 Easy hikes, pleasant trail runs, a scenic cycling route, and quiet paddling opportunities await outdoor enthusiasts on the 24,000-square acre island (But, of course, Sauvie Island’s copious agricultural and culinary offerings make a fine reward after day in the woods or on the water). Here are three ideas for making the most of a day on Sauvie Island. The seven-mile Warrior Rock Loop isn’t much of a challenge for seasoned hikers—its elevation gain can seemingly be measured in inches—but its scenic beauty (and the smallest lighthouse in Oregon) rewards hikers and trail runners who make the trip. The trail, bordered on the west by Steelman Lake and on the east by Sturgeon Lake, starts on a beach not far from the parking lot. (Fun fact: Lewis and Clark’s Corps of Discovery camped in the area during the fall of 1805.) Hikers can theoretically take the beach all the way to Warrior Rock Lighthouse during the late summer months, but most visitors will find a clearing and head inland after about a half mile. At this point, the trail parallels the beach and follows an old service road through a thick (and sometimes muddy) cottonwood forest. Hikers have bushwhacked a few quick trails back onto the beach along the way, creating additional viewpoints. The trail ends at Warrior Rock Lighthouse, currently maintained by the U.S. Coast Guard. Given its location and abundance of water, Sauvie Island seems like the ideal place for kayaking or stand-up paddleboarding. Yet substantial river traffic along the Columbia River makes conditions difficult on even the nicest days. But hope is not lost: Cunningham Slough, just across the Multnomah Channel from the entrance to Scappoose Bay at the north end of Sauvie Island, is a quiet, secluded area that’s suitable for casual paddling. The slough, in the midst of a thick cottonwood forest, is home to herons, raptors, beavers, and more. 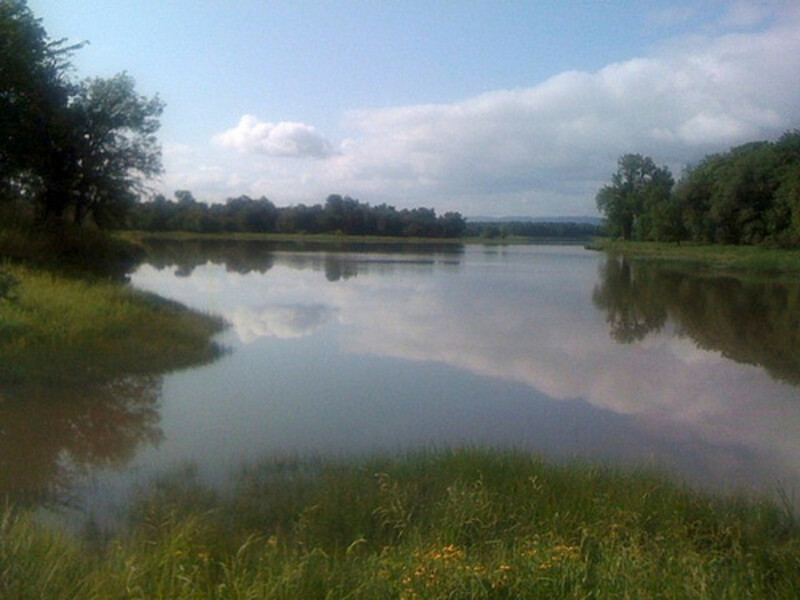 Another popular destination is Sturgeon Lake, in the middle of Sauvie Island. The shallow lake has no real current and isn’t popular with motorboats, making it a relaxing place to paddle. Mount Hood, Mount Adams, and Mount St. Helens are all visible from various points on the lake, as well. 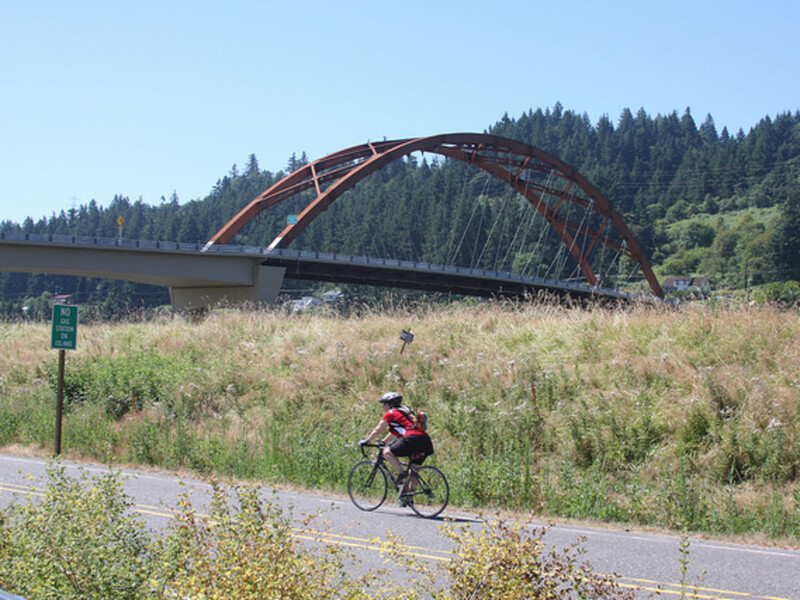 Owing to its almost complete lack of elevation gain, rural setting, and numerous viewpoints, Sauvie Island is a popular destination for casual cyclists and dedicated riders alike. There is no shortage of great views along the 35-mile Reeder Road Loop, which traverses the island’s back roads. 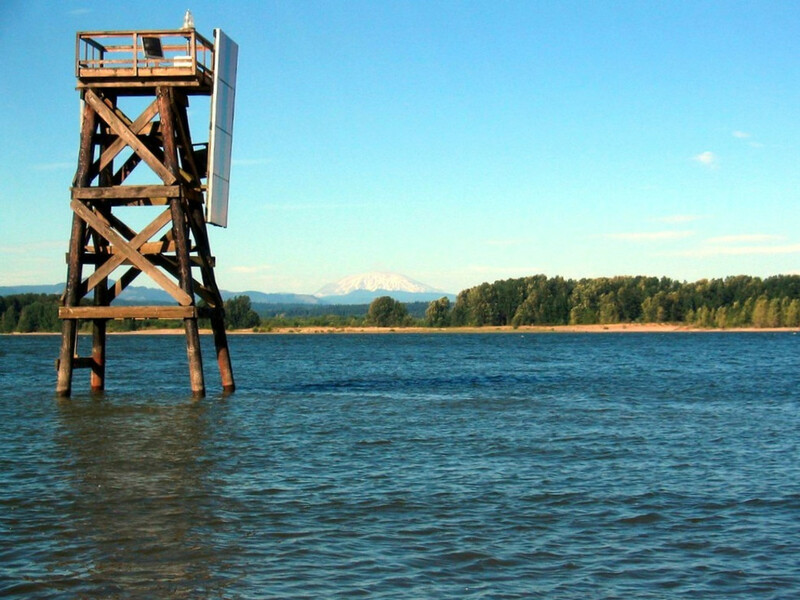 The loop includes picturesque views of Mount St. Helens, the Columbia River, and the Multnomah Channel, almost no elevation gain, and numerous bird-watching opportunities (eagles, osprey, and hawks are common on Sauvie Island). A shorter, flat 12-mile loop around the lower end of the island takes cyclists through forestland, wildlife preserves, and pastoral farmland. Cyclists should take note: Sauvie Island lacks bike lanes or safe shoulders, and cyclists may have to contend with slow-moving tractors and other agricultural vehicles on the island’s two-lane roads.